In 1818, Mary Shelley proved that girls do love science fiction after all: she created the genre with Frankenstein. Ever since, sci-fi has always featured a vast array of amazing technology. Naturally, those ideas have inspired real life designers who use their own brand of ingenuity to turn a spark of an idea or a fictional prop into a real, usable product that can be bought, sold and enjoyed. From that very first story where a man harnessed the power of science and nature to create life, inventors have been inspired. After all, what is the modern defibrillator if not a device that uses the power of electricity to bring human beings to life? The entire Star Trek franchise is rife with examples of this, largely because of the well-constructed future world that was created and maintained. 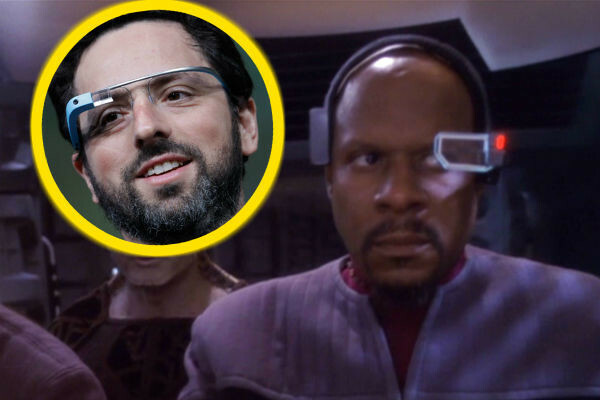 Their sliding doors (originally operated by two men pulling props apart while awkwardly trying to make sure they looked smooth) were soon seen worldwide, and as illustrated Deep Space Nine’s wearable tech would later be available to all in the form of smart glasses. With that in mind, here are ten more inventions whose creators drew inspiration from sci-fi gadgets – with original concepts dating as far back as 1870.